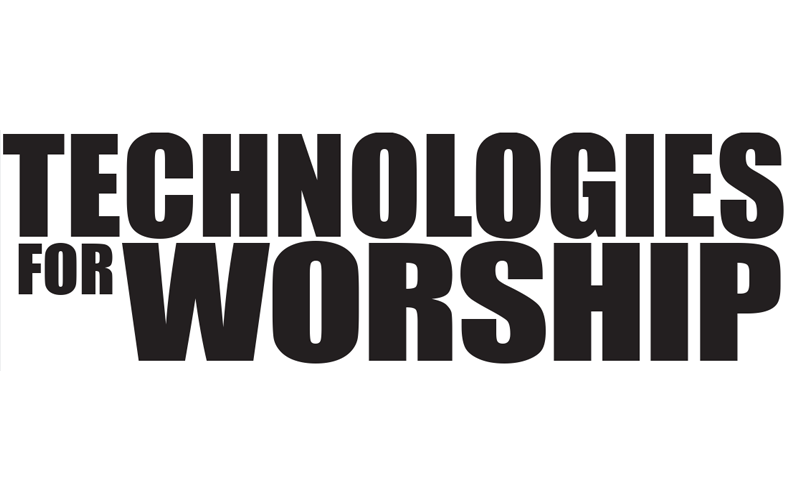 If you are reading Technologies For Worship Magazine, you’re probably familiar with wireless audio technology. Your facility may use wireless microphones for celebrants, wireless personal monitors for musical performers, and wireless intercoms for technicians. 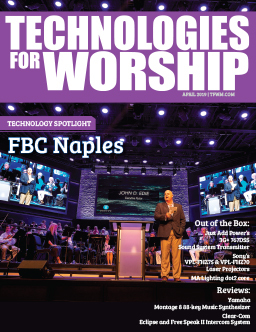 For many houses of worship, wireless audio has transformed the way that they deliver their message. What you may not know is that the ability of wireless audio devices to work is being threatened. The Federal Communications Commission (FCC) is far along in the transition from analog television broadcasting to digital. One technical side benefit of digital transmission is that digital TV stations can be packed closer together – even on adjacent channels – without interfering with each other. Analog broadcasting required one or more open channels between each station on the air. This meant that, in most parts of the U.S., a large proportion of the TV band was actually open. For decades, wireless microphones and similar devices have been able to operate in these so-called “white spaces” under FCC rules that grant them “secondary” status, meaning that they are not guaranteed any freedom from interference. But since few other devices operated in these spaces, there weren’t many things to watch out for, except other wireless microphones and the TV stations themselves. The transition to DTV will finally be complete on February 18, 2009. On that date, all U.S. TV stations will cease operations on their analog channel and operate solely on a single digital channel. Viewers of terrestrial television (meaning that which is not delivered by cable or satellite) will either need to buy a new digital TV or a digital-to-analog converter box so that they can tune in the DTV channels. Some of the spectrum that will be opening up when this is all over has been earmarked for a new communications system for public safety agencies, so that different agencies can easily talk to each other when a major incident occurs. A few other slices have been or will be auctioned off to the highest bidder, for use as “new wireless services.” The so-called “core TV band” – from channel 2 to channel 51 – was originally going to be the exclusive domain of TV stations and secondary users like wireless microphones. That’s when things started to go awry. The FCC, under pressure from Congress and big business, now plans to open all of the “white spaces” for use by a wide range of undefined new wireless devices aimed at consumers. These unlicensed devices – presumably a new generation of portable super-BlackBerry – would be allowed to transmit on ANY empty TV channel at any time. Imagine trying to use a wireless microphone when the entire sanctuary is filled with people carrying gadgets that keep stepping on the pastor’s frequency every time someone gets an email. There are solutions, of course. You could make an announcement before the start of each service: “Ladies and gentlemen, the pastor would like to remind you to be sure that your pew back is in the upright and locked position, and that all of your personal wireless devices are turned off.” That will go over really well, I’m sure. The businesses who will be making and selling this new breed of devices has assured the FCC that “smart technology” could be invented, which will prevent the new gadgets from interfering with TV stations or other “incumbent users” like wireless microphones. Since it hasn’t been developed in product form, this technology has yet to be tested, so wireless microphone manufacturers, installers, and users remain skeptical. The last straw came when a number of pieces of legislation were proposed in Congress that would force the FCC to dramatically speed up its normal testing and evaluation process for new wireless services. Instead of waiting until February 2009, these proposals would rush new devices onto the market “as soon as technically feasible” – possibly within 6 months of the bill’s passage into law. Preliminary tests have shown that the performance of wireless microphones, personal wireless monitors, and wireless intercoms would be profoundly affected by the presence of unlicensed wireless devices in the “white spaces” in the TV band. The impact would extend far beyond houses of worship, to Broadway plays, concerts, TV shows, news and sports events, and even political conventions. Without careful consideration and technical evaluation by the FCC, the best case is that wireless microphone interference will increase significantly. The worst case is that wireless microphone use may become completely untenable. Recently, Representative Bobby Rush (D-IL) – himself an ordained Baptist minister and pastor of the Beloved Community Christian Church – introduced the Interference Protection for Existing Television Band Devices Act of 2007. This well-reasoned bill would permit new devices to use the “white spaces” only after they have been proven not to interfere with the current users of this spectrum. It would also guarantee that new devices would not go on sale until after the February 2009 DTV transition date. Numerous other lawmakers have pledged their support for the Rush bill. Write a letter to the U.S. Representative in your district. 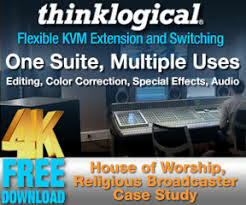 Let them know how important wireless audio is to meeting the needs of your congregation. Urge them to support the Rush bill (House Resolution #1320). Submit a comment to the FCC. Even though the date for including comments in published FCC documents has passed, your comments will still be read, copied, and forwarded to the various committees and panels involved. Every person who reads your words may be the one who casts a critical vote. Talk to your counterparts at other houses of worship in your area. Send them a copy of this article, and let them know that their help is needed. If you are interested in contacting your legislators or filing comments with the FCC, there is a resource page on Shure’s website with information about this issue, located at: http://www.shure.com/ProAudio/PressRoom/WhiteSpaces/index.htm . Instructions and links that provide help with filing comments are included on this page. If enough voices are raised, we can preserve access to the wireless tools that have helped so many people deliver their message.